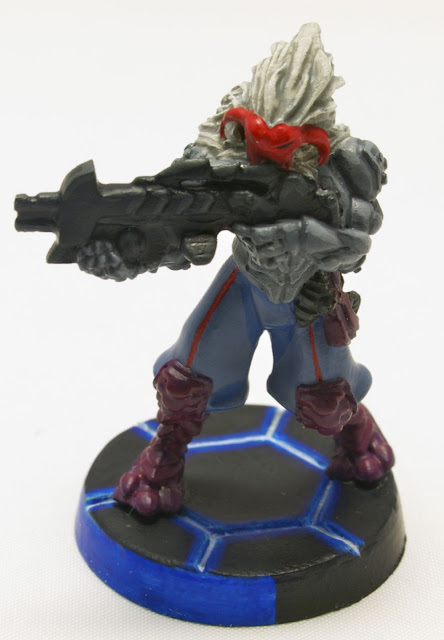 As evidenced in the recent post about painting the store’s Infinity demo kit, I have picked up a new gaming hobby. Last night I finished painting my first figure. As always with a new project, the first model or two serve, in part, as color and technique tests. Whereas my Gators have lots of washing and drybrushing, I decided to try some different techniques for these models. Pretty much everything is done with edge highlighting and shading, hopefully without creating too stark of an effect. I would consider adding more blending to make smoother gradients, but Infinity models have an awful lot of really small details. Additionally, I will try to incorporate a bit of shading into the face of the next model I do. It’s definitely too flat on this one, but multiple screwups were causing the paint layers to get a bit too thick already. 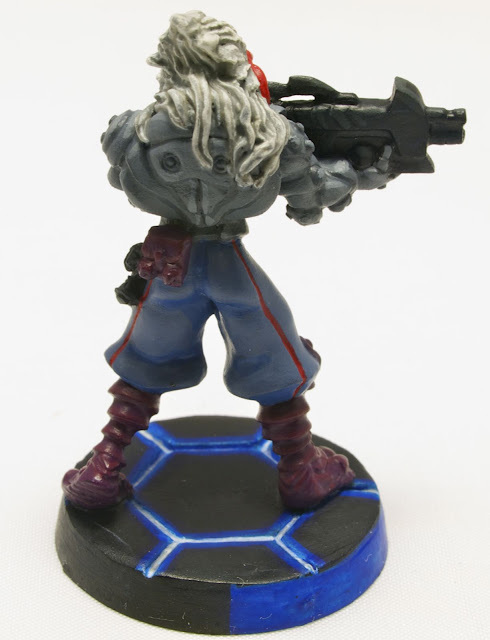 Sarah and I have been working hard to get a good community of people playing Infinity at our local games store (Games and Stuff), and as part of that we painted the store’s demo kit miniatures for the recent Infinity demo/game day we held. I ddi most of the Haqqislam stuff here and there over the course of a couple of weks, and then Sarah did most of the Yu Jing and helped me finish off this and that in one night’s epic painting marathon. You are currently browsing the Home of the Ghostlords archives for January, 2012.